The Alaska Legislature has been looking at ways to scale back how much the state spends on Medicaid. It’s one of the state’s biggest expenses. Gov. Mike Dunleavy’s budget proposes eliminating more than a third of the state’s funding for the program. To achieve that, some hospitals and nursing homes could be paid less to provide skilled labor. But for one nursing home in Juneau, it’s still business as usual for the staff and the people they care for. Once a week, Wildflower Court has a jam session led by a volunteer. One of the residents picks up an acoustic guitar to join in. Lala Toetuu is watching from the sidelines. 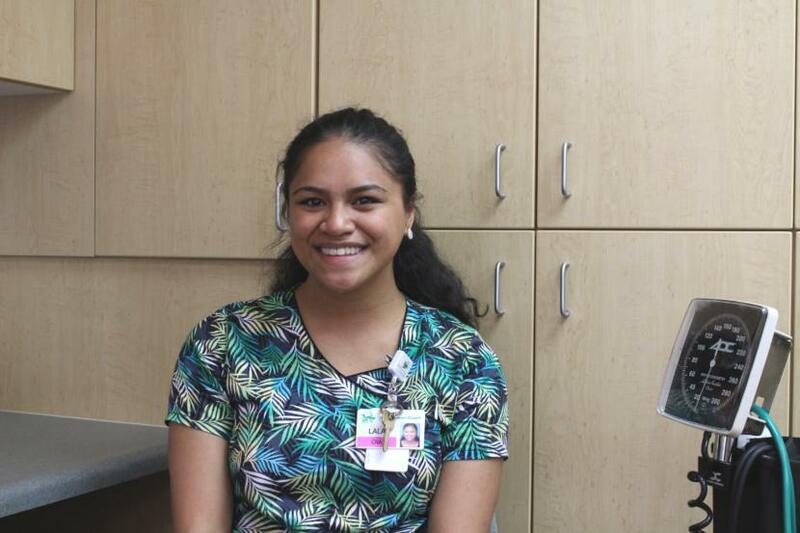 She’s an activities and nursing aide at Wildflower Court, where everyone loves calling her by her first name. They seem to enjoy watching her get a workout. This is just one of the many hats Toetuu wears during her shift at Wildflower Court. She’s part party captain — making sure the residents are active and having a good time — and part caregiver. Toetuu said she enjoys doing both roles. Such as helping seniors with tasks like eating, dressing and bathing. She said she likes making residents feel confident, so they can present the best version of themselves. Up to 90% of the people who live at Wildflower Court are Medicaid recipients. Mickey Lovell is one of them. She moved to Alaska from Oregon in 1953 after her dad booked a one-way ticket north, because he didn’t like the boy she was dating. So Lovell settled down in Alaska. She raised her kids here. In her 20s, she was diagnosed with multiple sclerosis. But she wasn’t able to get regular insurance until she was much older because of her pre-existing condition. “Not many people want to get to be 65. But I did,” Lovell said. At 65, she became eligible for Medicare and Medicaid. Medicare pays for recovery after an injury. But it’s Medicaid that’s paid for Lovell’s more-than-decade-long stay at Wildflower Court. However, a battle is brewing between the state and providers over how much Medicaid should cost. Dunleavy’s budget proposal suggests cutting state payments for skilled nursing by 5%. That’s what Toetuu, and 50 other staff, does at the nursing home. Ruth Johnson, who oversees operations, said it’s created an air of uncertainty. 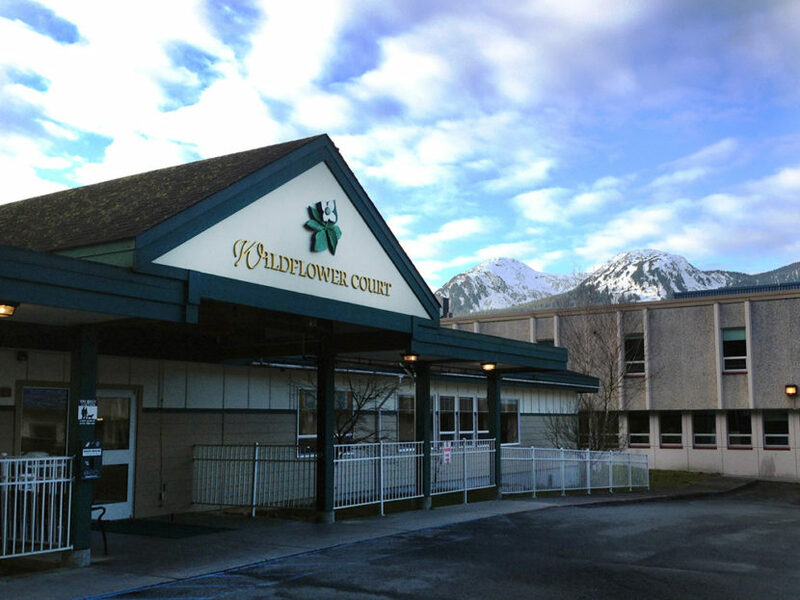 Right now, each resident at Wildflower Court gets about three hours of individual care broken up throughout the day. Johnson isn’t sure how that would change if the cuts are applied to Medicaid. But she said the nursing home is sometimes only operating at a 5% profit margin. So even if a 5% cut seems small, it would make it difficult for Wildflower Court. Still, Johnson is quick to point out she’s remaining optimistic the Medicaid cuts won’t be as deep as the governor’s initial proposal. She’s trying to look at it as the start of a much larger conversation. Johnson said that’s because the state is big and spread out. A typical nursing home size is 34 beds — compared to the national average of more than 100. So the issue here is a smaller pool of people responsible for a big expense. The Alaska State Hospital and Nursing Home Association says scaling back the state’s Medicaid payments isn’t the answer. But finding places to cut back within the program will take more time and dialogue than what can be achieved in a single legislative session. In the meantime, Johnson is trying not to worry her Wildflower Court staff and residents. There’s still singing, laughter and community in the halls. This week, Johnson lost a game of cribbage to 86-year-old Mickey Lovell.